I finally saw that scene. I know. All they did was exchange heys. 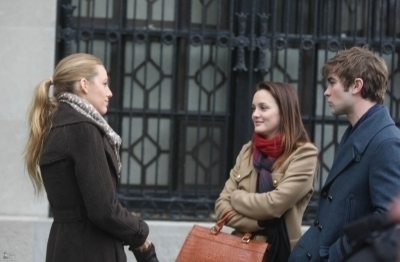 They were respectively talking to Blair for most of the scene.